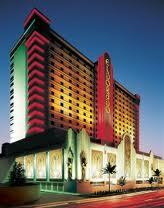 Eldorado Casino Resort Shreveport Summer Escape Rates! Now through June 30th, you can take advantage of Eldorado Casino Resort’s special Summer Escape Rate of only $88 (Sun-Thur). Let me just say, you will not be disappointed in your stay. We have been to Shreveport many times and this resort is by far the most luxurious. The beds are like heaven! These rooms can go for over $300 a night so don’t wait and take advantage of this $88 rate. You can book ONLINE or call 877-602-0711 and mention Promo Code: EBL2013. Previous postKraft Singles $1.95 After Coupon at Kroger + Coupon Book Giveaway! Next postHawaiian Falls FREE Admission June 7th for First 963!